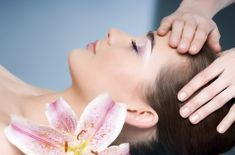 Rejuvenating therapeutic massage tailored to your specific healing needs. 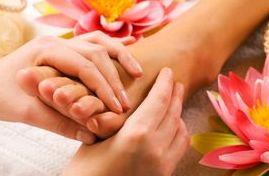 Luxurious blend of Acupressure, Deep Tissue, Himalayan Salt, Reflexology, Reiki, Cranial Sacral Therapy and hot/cold therapy to harmonize & detoxify. Cupping session using silicone (no fire) cups. Treating back, neck, shoulders arms and front upper chest. Cupping is a Chinese medicine technique that has been used for centuries for many different conditions. Coupled with Reiki for deeper muscle tension relief, relaxation, detoxification and oxygenation. Reiki also minimizes the cupping marks. Silicone cups are placed on the skin, creating a vacuum-like seal from the lack of oxygen. The superficial muscle layer is drawn up into the cup, which stimulates the circulation of blood, breaks up adhesions, and creates a pathway for toxins to be drawn out of the body through the lymphatic system. It has been found that cupping can affect tissues up to 4 inches deep; affecting blood vessels, fascia, muscles, and scar tissue. Gentle, NON-INVASIVE, ancient form of natural healing. Recipient is fully clothed and practitioner's hands are placed, moving every few minutes. It is a form of energy work on the physical, etheric and subtle bodies by restoring and balancing the natural life force (CHI) energy within the body. Gentle non invasive form of body work that addresses the bones of the head, spinal column and sacrum. The goal is to release compression in those areas to alleviate stress and pain. Helps with anxiety, ADHD and more. Clear out the old, make room for the new. Combination of Reiki, meditation & coaching helps effectively transform your consciousness to manifest your dreams! The perfect option for those who cannot come in for a hands on Reiki session, such as people that are ill or living in different location. 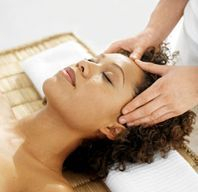 Reiki can be sent to a person, animal, situation time or place. As a Reiki Master I can send healing to you. 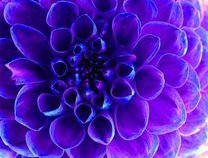 Sending Reiki is possible because energy is not confined and can transcend time and space so it is easily transmitted anywhere. Clients who experience distance healing sessions have reported feeling less stressed, rejuvenated and balanced. Experience the benefits of a distance healing session for yourself. Full body Swedish massage with the use of warm Himalayan Salt Rocks detoxifying the body and aiding the body in absorbing its 84 essential trace minerals through the skin. 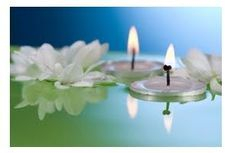 Oncology Reiki uses the energy of Reiki to help facilitate the body’s own healing systems by promoting relaxation and deep meditative states. Helps alleviate physical and emotional discomforts, pain, fear, and other stress points related to their cancer and cancer treatments. Helps the cancer patient get more involved in their own energetic self care.